Actually you can't apply for aadhaar card online but you can book your appointment for aadhaar enrolment online. The Online Booking of Appointment for Aadhaar Enrollments has been started on a trial basis at selected Enrollment Centers. The UIDAI (Unique Identification Authority of India) has started this Online appointment for aadhaar enrolment recently. In the online facility you can only apply for an appointment at the selected enrolment centre and you can also select date and time for appointment. After getting an appointment you have to go to the selected enrolment centre with the required documents. For Registration of Aadhaar Card appointment Online go to Appointment for Aadhaar Enrolment Online. 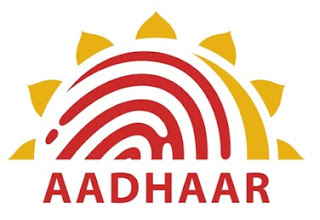 How to check your Aadhaar Status Online? NOTE: www.uidai.gov.in is the ONLY official website of the Unique Identification Authority of India (UIDAI) and other websites using the term UIDAI/Aadhaar/UID or related terms should not be considered as the official website of the Authority.